This is the same as Bergamot with the phototoxic, skin sensitising component removed. 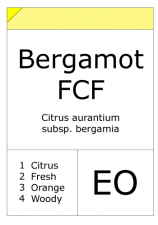 Citrus bergamia, the Bergamot orange, is a fruit the size of an orange, with a yellow colour similar to a f, and a pleasant fragrance. 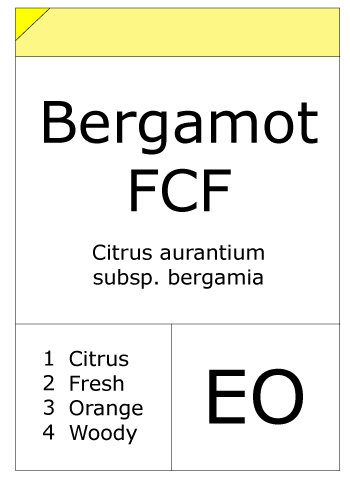 Bergamot is probably a hybrid of Citrus limetta and Citrus aurantium. Citrus bergamot is a native hybrid of and commercially grown in Calabria, southern Italy, where more than 80% are found. It is also grown in southern France and in Ivory Coast for the essential oil. Bergamot peel is used in perfumery for its ability to combine with an array of scents to form a bouquet of aromas which complement each other. Approximately one third of all men's and about half of women's perfumes contain bergamot essential oil. 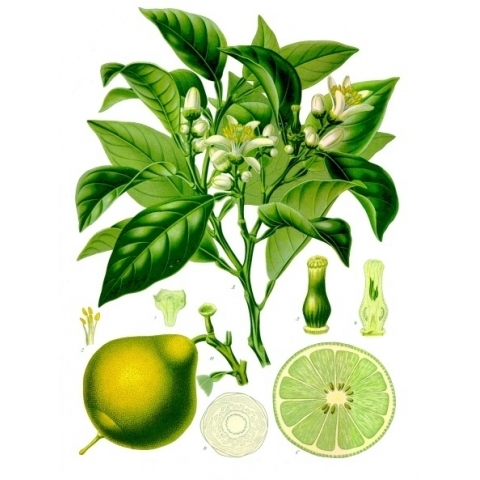 Bergamot was a component of the original Eau de Cologne developed by Italian perfumers in 17th century Germany. An Italian food manufacturer in Noto, Syracuse, Sicily, produces a commercial marmalade using the fruit as its principal ingredient. It is also popular in Turkey, Greece and Cyprus as a preserve, made with bergamot peel boiled in sugar syrup. The actual fruit of the bergamot orange itself is not known to be edible. The Oxford Companion to Food (2006) states, "The bergamot orange is not edible and is grown only for its fragrant oil, although its peel is sometimes candied."